The 10th instalment of Musica Dispersa, a concert series dedicated to contemporary electronics, was hosted at the I’klectik Art Lab. It showcased a wide selection of artists and acts, from live electronics to drone guitar duos, amplified experimental voice pieces. The New Music Ensemble took part in the event on February 5th, selecting a programme that interestingly blended traditional orchestral instruments and electronics, coupled with their unique style of visuals displayed alongside each work. The collective presented Sam Gillies’s Snowden (Dissent Prevention) and Lia Mice’s EYE, two pieces that differed from each other in style, content and instrumentation. Both the works were re-proposed after their premiere at Goldsmiths, by the NME, on December 11th 2015. The festival’s thematic core offered the ensemble the opportunity to explore the electronic means as rather constitutive than subsidiary elements in the performance of works that weren’t necessarily intended to be amplified. The group opened with Gillies’s Snowden (Dissent Prevention), a work that requires an amplified quartet consisting of flute, clarinet, violin & cello to respond to a very detailed and complex graphic score. The work’s compositional elements were drawn out of the aerial map of camera surveillance areas in the borough of Lewisham, which Gillies personally interpreted by supplying a set of detailed instructions for sonic textures, dynamic indications and temporal divisions. The piece exploited subtle, yet expansive textures and unconventional sonic activity. The four performers involved had excellent communication skills, allowing them to all react to each other’s sound gestures and dynamically balance the work in such a way that a mixture of quiet and loud sounds were layered together, fashioning a remarkably refreshing listening experience. The amplification of the instruments allowed for each instrumentalist the opportunity to delve deeper into each instrument’s own capabilities (such as keyclicks and airtones) and led the audience’s listening into a suggestive micro-environment of sounds. Compared to its premiere, entirely acoustic, Snowden gained expressivity in that dynamic gestures could be rendered in spatial terms, as the contrast of quieter and louder sounds was enhanced by the performers getting more distant or closer to the mics. At I’klectik Art Lab, the performance of Snowden was coupled with the simultaneous projection of the score. By anticipating the forthcoming material, this reduced the kind of audible shock factor, concerning the listener’s experience, that is available with an indeterminate piece like this, and translated it into a visual apprehension of what was going to be heard next. This encouraged the audience to ask themselves questions about the relationship between the score and the performance: What did certain indications incite the performers to do? Or how can one possibly play that particular construction? 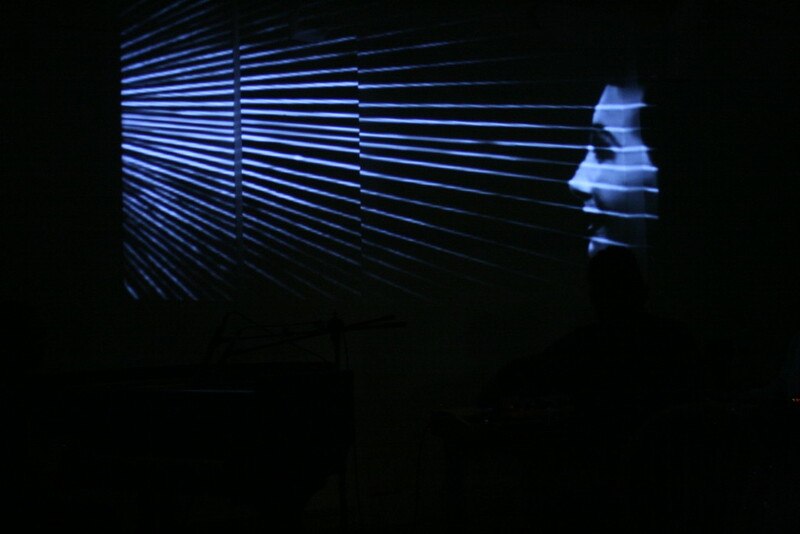 the element of the score-projection encouraged an analytical approach to the work, to the detriment of a more immersive experience which can be noted in its previous performance that did not use projection techniques. The ensemble closed with Lia Mice’s, EYE. This Australian composer showed proficient capabilities towards conceptually moulding a piece based on a personal exploration of the neurology and phenomenology concerning eyesight. The work combined both improvised and pre-planned musical responses to a visual presentation, a 1941 film titled How The Eye Functions, accompanied by a general manipulation of said film. Mice’s piece was based on shades of colour: the composer created a graphic score in black and white and assigned each performer to a different shade of it (white, light grey, dark grey, black). They were required to improvise with sonic “textures”, such as white noise, popping sound, harmonic melogy, drone, which were related to specific colours. The musicians managed to generate a continuous, atmospheric sound by interweaving improvised elements, interpretation of the visual score, and mutual communication. Simultaneously, the distortion of the projected movie conveyed a haunting feeling of discomfort, a sense of which was only heightened by the sampler, two synthesisers, prepared piano and other electronics that were on stage. In this complex electronic world, the piano had no trouble inserting itself as a relatable and conjunct instrument compiling performance techniques such as plucking the strings with various objects and creating visceral percussive sounds, which were far from arbitrarily punctuated sounds, but instead were well-placed and emotive sonic moments. The sheer volume of the instrument, perpendicular from the more intimate textures of the previous work, created a pseudo-aesthetic quality with its, at times, intolerable levels of noise. This effect, seemingly regardless of intention, harboured a coherent insight into the unanswerable, almost unbearable struggle that is unravelling and understanding vision. Both pieces performed were largely differing from each other. This difference, spottable from the very contrast of Snowden’s mirco-textures and EYE’s massive walls of distorted sounds, accounted to the composers’ different backgrounds. Gillies was certainly not new to contemporary classical music, while Mice’s previous works articulated experimentalism within the frame of pop, noise and underground punk music.